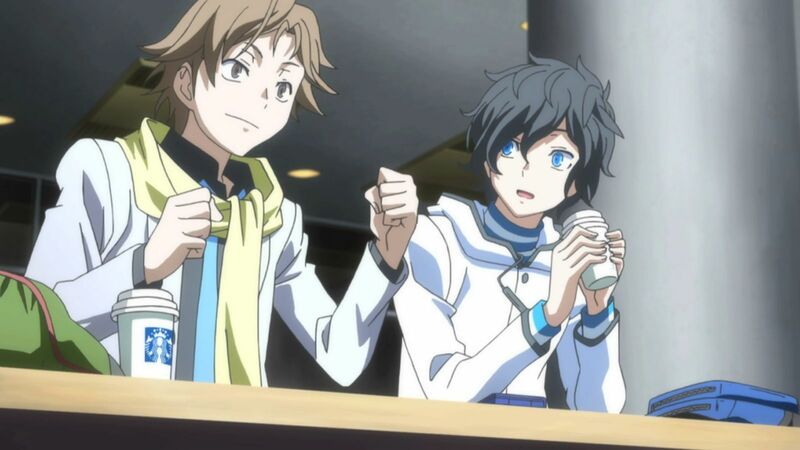 Hibiki Kuze and his close friend Daichi Shijima have a daunting future ahead of them. After just finishing their practice test for their college entrance exams, the two decide to enjoy what is left of their high school youth by hanging out and talking about the latest trend. A mysterious website, known as Nicaea, which users with an account will receive videos and updates on when and how their close friends will die. It all seemed harmless until both Hibiki, Daichi and a fellow classmate named Io Nitta all receive death videos of each other. An earthquake then shatters the Tokyo area with the trio narrowly escaping their fates by a strange app that appears on their phone that has the power to summon demons. Still reeling from the widespread destruction, Hibiki, Daichi, and Io will need to stick together and learn how to use this Demon Summon App in order to survive the horrors that will stand in their way and protect other survivors to find out if this truly is humanity's greatest trial. 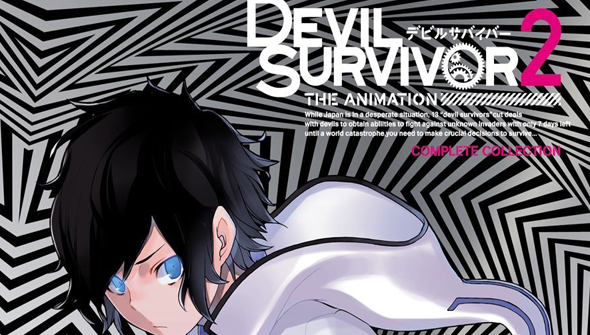 Devil Survivor 2: The Animation is a anime adaptation of the popular Shin Megami Tensei video game of the same name. 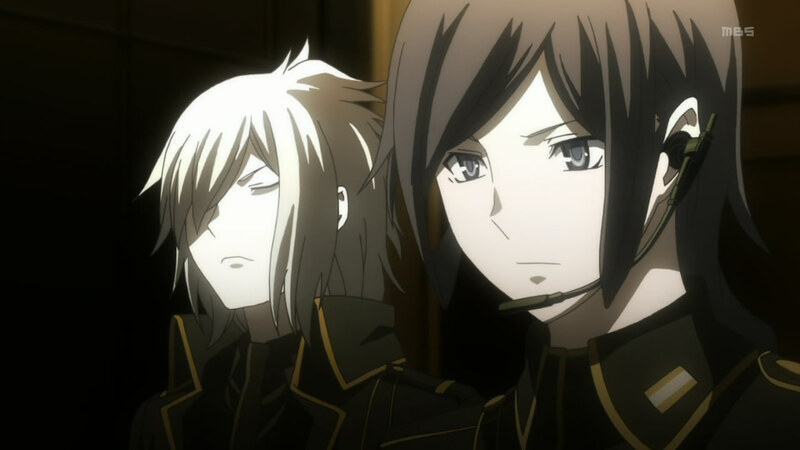 The series was directed by Seiji Kishi and animated by Bridge to run 13 episodes in total. The show originally aired in Japan on April 4th 2013, and was licensed for home video release in North America, Austrailia, New Zeland and the United Kingdom as well as online streaming. When it comes to the strange end of the world scenarios, they usually don't come any stranger than the Shin Megami Tensei franchise. The entire idea of having a phone app for making contracts and summoning demons is one of the last things I would have ever thought of to throw into an apocalypse but for Devil Survivor series it is just the tip of the iceberg. Having already played a bit of the video game the animated series was based on, I had an understanding of the plot and cast of characters when I started watching the anime adaptation. While the anime adheres to the main focus of the story which is these characters struggling to survive against an unknown foe, it does take more than a few liberties. Not all of these changes are negative though. For starters, it gave the game's silent protagonist a voice and character that was relatively likable. I was also really impressed that given the game's expansive story and multiple endings they were able to condense it all into 13 episodes. 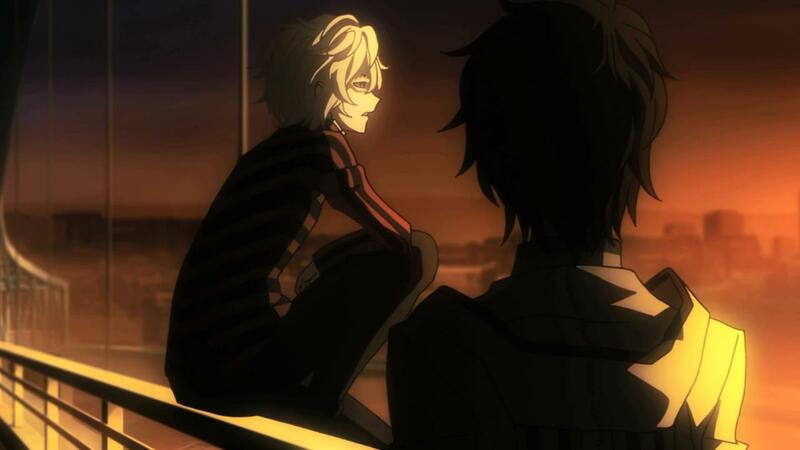 However, where the show falters is due to that limited time, a lot of important aspects of various characters and plot points were overlooked. For example one of the characters, Makoto Sako, is a strict but very supportive ally to the main characters in the game, in spite of the rules her position dictates. In the anime, Makoto is just another no-nonsense military woman, who doesn't compromise her organisation or disobey her commanding officer when he makes an ethical error. A few other characters follow this trend, falling into your typical anime stereotypes instead of embracing the good characterization that already existed. The main characters are still likable, and you want to see them succeed. But after being exposed to the excellent gameplay which allowed these characters to be explored even further, it just feels like something is missing from the experience. 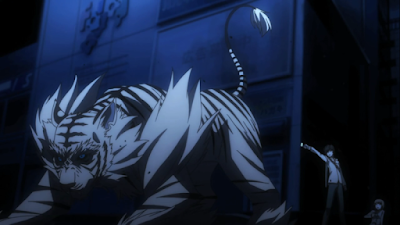 The animation is above average, with great atmosphere and choreography during the battle sequences. With both demons and humans fighting side by side in the usual Shin Megami Tensei fashion, any anime fan who hasn't played the game would surely enjoy this the strange spectacle. However, for fans of the game (who this series was probably made for, ironically) there is a good chance you will be left unsatisfied.